The TN111K premium indoor 24-hour plug-in timer is simple to use and program. 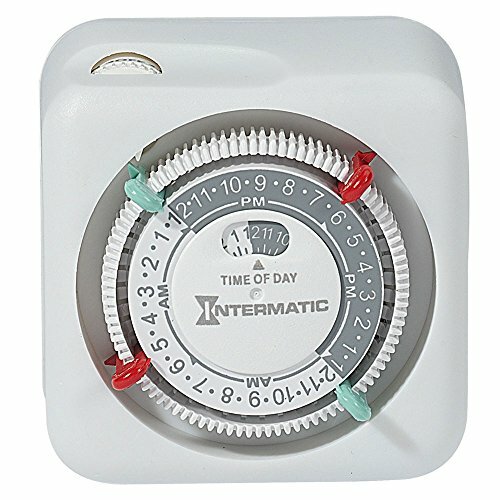 Simply set the ON/OFF trippers into the desired time slots, then plug the light into the timer and the timer into the wall outlet. It is ideal for lamps and appliances. You can schedule 2 ON/OFF events at 15-minute intervals. CSA certified. 15A, 125VAC, 60Hz. This item is suitable for use as an indoor christmas tree light timer.